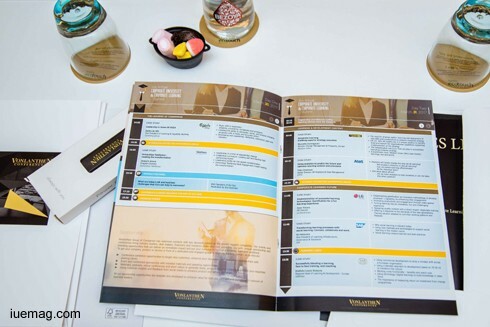 Words like engagement, exchange, digital, inspiration, technology, future, connection, and effect were words that were spewing out of the 2nd Annual Corporate University & Corporate Learning Summit (#2CUandCL17) on March 30th - 31st in Barcelona Spain. Positive affirmations were not the only words or phrases that were coming out of the summit though. Phrases like job loss and need to change were also prevalent. The #2CUandCL17 Summit not only provided a forum for idea sharing and networking but also brought up a crucial topic for those in the learning and development sector; adaptation to learning and development techniques needs to occur in order to stay relevant and to retain and meet employee needs. Leaders from across the field along with experts with a peripheral view espoused the need to provide employees a comprehensive connection to learning opportunities, platforms, and technology. To fully engage employees, opportunities that meet their career needs, learning type, and personality type also need to be created. No longer is it enough to provide a link to an online learning platform or a training manual. The current time calls on a moulding of technology and humanistic needs – blending the human world and the digital world. The question is, how do you accomplish this? Furthermore, even if you come up with a solution how to engage employees to participate? Luckily, our panel of experts provided unique insights to accomplish this. Complied are 5 ways to implement this into your workplace’s learning and development (L&D) strategy. 1. Focus on Reskilling Talent – Leah Langheim of Accenture Technology spoke about challenging HR and L&D teams to retain employees instead of hiring new ones by reskilling them. Establishing an environment that values reskilling involves creating a learning culture from the beginning. To do so she suggests: providing academic opportunities from the employee’s inception to develop a career-long appetite for learning; fostering creativity and allowing for intellectual curiosity; and prioritising empathy and understanding of employee needs. By implementing these strategies, workplaces can more easily retain their employees and plan for the future. 2. Personalise Learning Approaches – Gestalt Psychotherapist, Soft Skills Trainer, and Business Coach Peter Petrov provided a workshop on the importance of personalising learning opportunities. ‘Every person is a different flower,’ as he states, so every employee requires different elements to reach their full potential. He suggests that learning and development teams should blend their learning opportunities to suit the needs of a varied workforce. Essentially, create opportunities that work for different learning styles, personality types & platforms, for example: blending together online learning platforms with in-person discussions; establishing deadlines and work structures based on personality types; and matching learning videos with hands-on learning. Customised learning options that blend together technology and personal needs can result in higher engagement in learning opportunities. 3. Self-directed Learning – Joaquin Azcue of Universitas Telefonica urged L&D representatives to infuse flexibility, innovation, entrepreneurship, and self-directed learning into their organisation’s learning strategies to meet the needs of the time. Using innovations like MOOCs (massive open online course) is one way to achieve this. MOOCs allow employees to access learning when and wherever they want. It hinges upon intrinsic learning and pushes employees to strive for learning based on their own career desires. Using this stream of learning provides employees the opportunity to take ownership of their own learning and in turn decreasing the pressure of a structured and pressurised learning environment. 4. Infuse Social Learning – Fostering a collaborative culture by creating learning opportunities through peer interaction, colleague help, and senior level management/stakeholders is what Ari Katanick of SAP expressed as another way to humanise learning practices. Linking up these practices with technology can prove to be highly beneficial to long term engagement and ultimately, productivity. Employing ideas like mentors, coaches, and communities of practice are a few of the excellent ways to accomplish this. 5. Use New Engaging Learning Tools – Juan Tinoco of LG provided insights on using game-based learning as a source to humanise learning opportunities. Game-based learning is an excellent example of meeting employees where they are at. This provides real life situations and a practical approach to learning. Through this employees have the opportunity to develop hard skills in real life scenarios. With a simulation based structure, employees were more easily engaged – resulting in increased productivity. Gamificiation, as it’s called, is another example of humanising a technological training and development system. The workforce of ten years ago is rapidly different from the workforce of today. The workforce of 10 years from now will be even more rapidly different from the workforce of today. Learning technology is rapidly growing but also with that is an increasing need for humanistic cohesion. Establishing strategies to deal with this evolvement is necessary. Reskilling talent, personalising learning approaches, allowing for self-directed learning, infusing social learning, and using engaging learning tools are but some of the ways to manage new learning needs to skill and retain the workforce of tomorrow. How will your company adapt to the future learning needs of your workforce? The iUeMagazine team was delighted to work with Future of Work & Workspace Summit as Online Media Partners & to have brought Unlimited Inspiration for all readers from the proceedings of this event. Get a glimpse of CU&CL Summit! Any facts, figures or references stated here are made by the author & don't reflect the endorsement of iU at all times unless otherwise drafted by official staff at iU. This article was first published here on 1st May 2017.